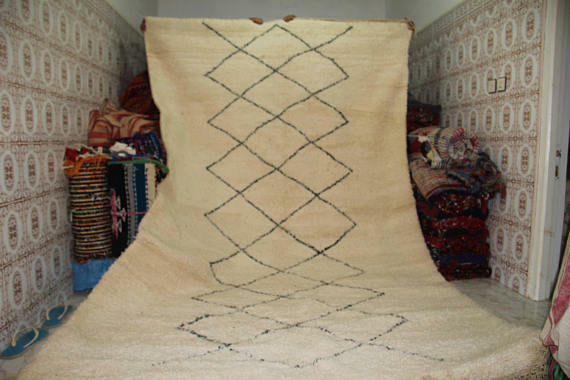 A gorgeous Beni Ourain Rug from the hight atlas mountains of Morocco. Handwoven by a women from a rural area at Khenifra region. This unique beauty is 100% wool from the local sheep. Berber for 'HOME' | Beautiful and unique Rugs from Morocco.  Wholesale: Email us.